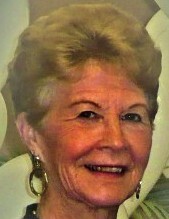 Obituary for Eileen N. (Claeys) Bode | Kaniewski Funeral Homes, Inc.
Eileen N. Bode, 80, of New Carlisle, Indiana passed away on Tuesday, December 4, 2018, at Hospice House, South Bend, Indiana. Eileen was born on June 16, 1938, in Mishawaka, IN to Cyriel and Mary (Truyaert) Claeys. Eileen was a 1956 graduate of New Carlisle High School where she played the clarinet and was a majorette in the school band. She was a member of St. John Kanty Parish and a former 4-H member and leader. On August 25, 1956, Eileen married Robert Bode, who survives along with their 4 children Dennis (Becky) Bode of South Bend, IN, Don (Laurie) Bode of Franklin, IN, Dale (Cathy) Bode, of New Carlisle, IN, and Debra (Steve) Paul of Mishawaka, IN. Also, surviving are seven grandchildren, Danielle Bode, Anthony Bode, Jeremy Bode, Amanda (Matt) Ellis, Stephanie (Matt) Smith, Ashley (Nate) Tuszynski, and Staci Paul along with seven great-grandchildren. Eileen was preceded in death by her brother, Robert Claeys. After raising her children, Eileen found employment with Hamilton Communities as a purchasing agent. She enjoyed golfing and spending time outdoors with her dog, Buddy. A visitation will be held on Monday, December 10, 2018, from 11:00 am until 11:45 am EST at Kaniewski Funeral Home 3545 N. Bendix Drive, South Bend, Indiana immediately followed by a Catholic Funeral Service to be held at 12 pm EST. Burial will follow at New Carlisle Cemetery. Memorial Contributions may be directed to The Hospice Foundation. To send online condolences, please visit kaniewski.com.